Hello and welcome to my world. 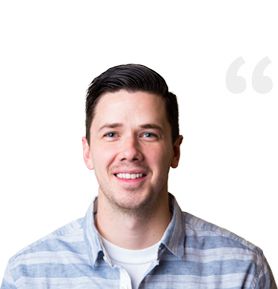 My name is Steve Kiger (like tiger with a “k”) and I’m an Utah-based graphic designer, marketing consultant and entrepreneur with 14 years of experience focused on increasing your revenue. I do this by crafting beautiful design, compelling content and strategic conversion optimization. Interested? Read on to learn more. When done right, marketing is an investment. There are a lot of graphic designers out there. Probably too many. The problem with most web or print designers is they’re really good at creating beautiful design while being pretty terrible at understanding how to design with purpose. A revenue-driving purpose. Since 2011 I’ve helped create, cultivate and support a well-known international supplement brand from a small, regional $15MM company in 2010 to over $190MM in 2014. I still provide design services to them on a daily basis. I helped a Utah-based home builder increase their mobile traffic by 1,600% while also increasing the time spent on the site from a mere 30 seconds to over 2 minutes. This new website lead to more walk-ins, more calls and ultimately more sales.